I love Hermione De Paula at Browns, I've said it before and I'll say it again! The dress on the left is one of her beauties, even if I look like a bumpy mess in a skintight maxi dress I rather love this one, plus with the rose detailing it would create the illusion of a lovely figure (from the front at least). The dress on the right is along the same lines, a rose print maxi dress but with a cheeky bit of asymmetry and ruffles thrown in for good measure. 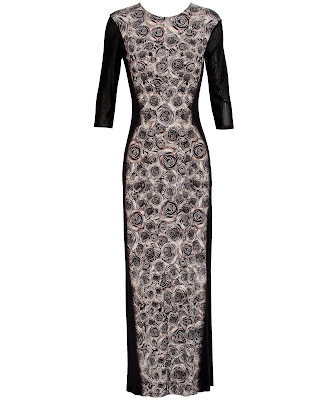 It is from Topshop and £100 less than the HDP number, music to my ears! These shoes make me swoon. The pair on the left are a little bit a-mazing and are Azzedine Alaia from Browns, I love perving on Browns... They're kind of like what a drag queen would wear to go camping, and I have fallen in love with them. The pair on the right are from ASOS and are about £800 cheaper... They haven't got the killer heel but would probably be more comfortable for day to day wear, I am so darned sensible. I just needed to get that out of my system, I don't often post about things I want to buy but I couldn't help it, what are you lusting over right now? 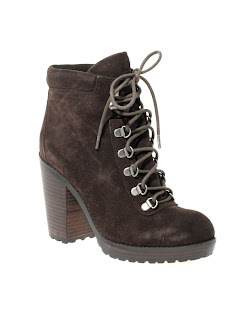 Those toppers boots are going straight on my 'potential winter boots' list... it's getting pretty long! 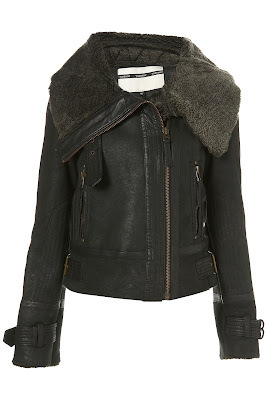 a shearling jacket and some beautiful chunky lace up boots are definitely on my wish list. 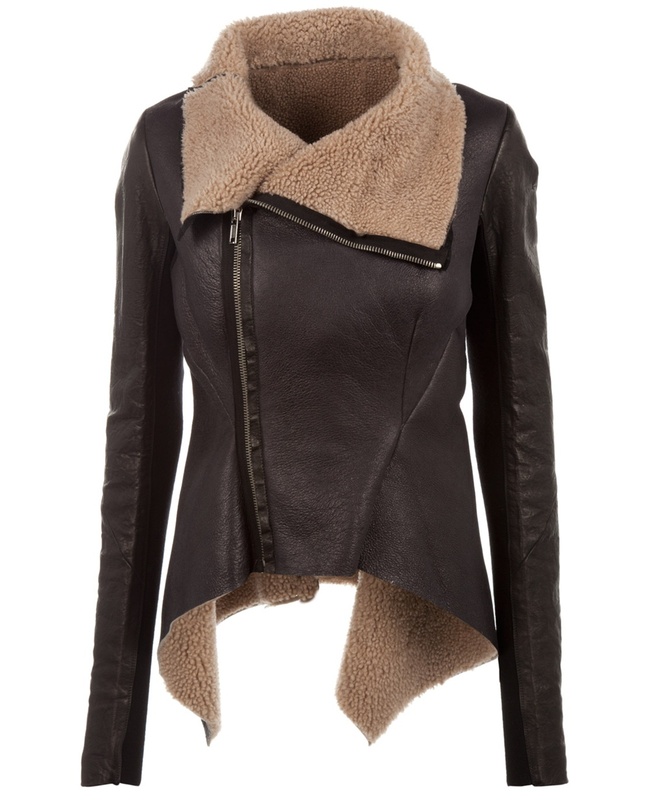 I love those shearling jackets, I so want one! They look so warm! And those boots, love them too! I love finding less expensive alternatives. It feels like a victory! This year I wish I had a shearling coat too- it's the first time ever I wanted one. Darn marketing and glossy ads have gotten to me! Ahhh, it would have to be Rick Owens and Alaia for me - and since I can afford neither I'm trying to steal the jacket from my sister. Wish me luck! really amazing things! and cute blog! I've been on the hunt for the perfect lace-up short boots, but I'm so indecisive! Those shearling jackets would be perfect for the fall! Can't wait til it's cold so I can get one! I had a pair of hiker wedge boots but got bored of them so quickly because everybody had them and mine were, well, boring. I would love a pair of lace gloves and some chunky AMAZING wedges from Asos. Dayuuum those Azzedine Alaia boots got me drooling. I swear I have way too many pictures of shoes saved on my computer, but I think I'll have to add these to the folder. Lust-worthy indeeeed. I love these posts! I am lusting over Rodebejer and, as always, flowy dresses. anyway there are some cheap second hand shearlings around, ebay?